For the fifth successive year the island will open its shores to welcome in the lighter & brighter days of the year with its three week Festival of Spring. There will be the usual eclectic mix of nature, art, foraging, craft, heritage and baking events, with rspb guided walks, textile workshops, bread making, island history lectures & local music, to name but a few. Organisers of the Colonsay Book Festival today announced the line-up of authors for the fourth annual Hebridean literary celebration, for 25 and 26 April 2015. This year’s programme stars celebrated Scottish crime writer and screenwriter Lin Anderson, roofer-turned-poet William Letford, cookery writer Mary Contini, novelist Sara Maitland, nature writer and poet Jim Crumley and award-winning author James Buchan, grandson of The 39 Steps writer John Buchan. Despite the persistent extreme weather over the last two months we’ve had some really spectacular wildlife sightings and encounters. 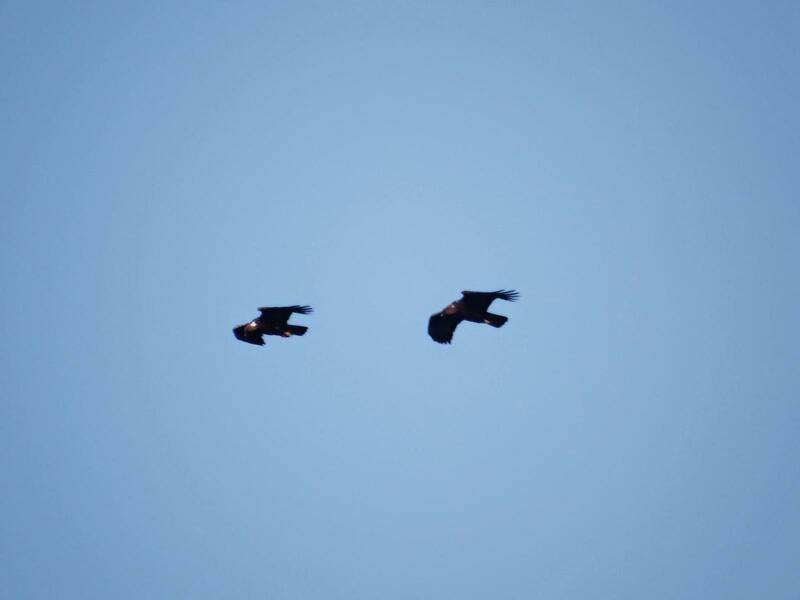 We have had brilliant views of a pair of golden eagles over Benn Oronsay in the last month. We enjoyed watching them from the farm yard several times between the hail storms. Even some blue sky!